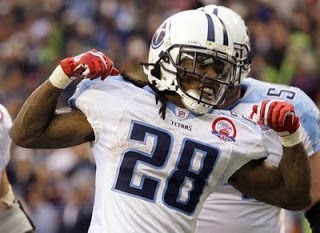 The Titans haven’t moved on from Chris Johnson yet, though it seems clear they want to. 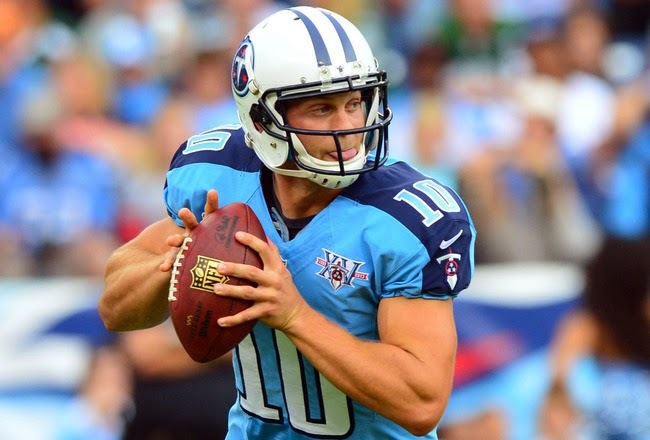 But it appears they’re willing to roll the dice on Jake Locker for one more year, but maybe just one more. According to Jim Wyatt of the Tennesseean, the Titans are unlikely to pick up the fifth-year option on Locker’s rookie deal, which would cost $13 million for 2015. Team CEO Tommy Smith had previously expressed confidence in Locker, but that appears to be a short-term proposal. With a new coach coming in who didn’t draft Locker, the rope will be short. If he performs well this year, they’ll still have a chance to secure his services for the future. But if they don’t use the reasonably priced option (at least compared for a franchise tag), then it’s clear this is the last make-or-break year for a talented player who has struggled to stay on the field. With the exception of Adrian Peterson and LeSean McCoy, it still doesn’t pay to be a running back. This year, the top of the market has stagnated at $3.5 million per year for the likes of Toby Gerhart and Donald Brown (both of whom signed three-year contracts in Jacksonville and San Diego, respectively) and Ben Tate (who signed a two-year deal in Cleveland). For former first-round pick Knowshon Moreno, the best deal consisted of $2.5 million in signing bonus and base salary, along with another $500,000 in roster bonuses, per a source with knowledge of Moreno’s one-year contract in Miami. That’s a max package of $3 million. For a guy who gained more than 1,000 yards in 2013. It doesn’t bode well for Maurice Jones-Drew, who surely doesn’t like what he’s hearing now that he finally has made his way to the open market. Jones-Drew reportedly has expanded his search to include Oakland, which already has brought back Darren McFadden on a one-year deal worth $1.75 million, half the current market rate. It also doesn’t bode well for Titans running back Chris Johnson, who’s destined to earn a lot less than $8 million in 2014 on a new team. And at some point it may not bode well for Peterson, whose Vikings contract pays out $12 million, $13 million, $15 million, and $16 million over the next four years. Ditto for McCoy, who has cap numbers in Philly of $9.7 million, $11.95 million, $8.85 million, and $7.85 million from 2014 through 2017. With so many running backs available for so much less money, either on the open market or in the draft, the days of the big-money tailback likely will end as soon as the Vikings and Eagles decide that the remaining abilities of Peterson and McCoy don’t justify the ongoing financial investment. Even as Bengals owner Mike Brown has made it clear the money is a concern, Bengals coach Marvin Lewis has made his stance equally known. 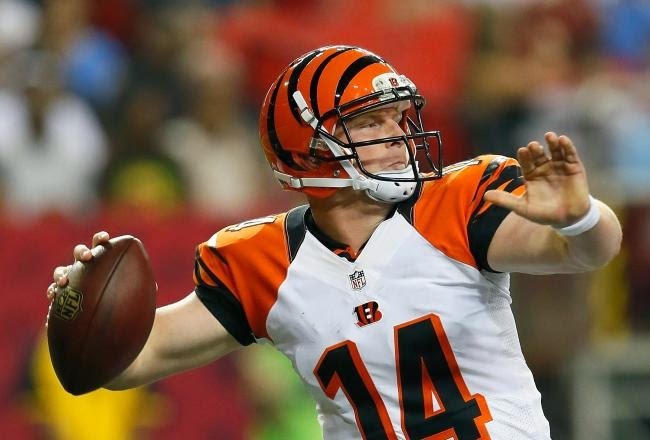 He wants to see quarterback Andy Dalton get a contract extension, and the sooner the better. “We are hopeful we can get a deal done that works and Andy can put it behind him,” Lewis said, via Paul Dehner Jr. of the Cincinnati Enquirer. “He can get back focusing on football. He doesn’t have to go into the season and worry about this contract thing, every week someone is going to ask him a question, . . . all those things that come into play later on. Let’s get it behind us. “We are hopeful we can get a deal done that doesn’t preclude us from doing everything else we also want to continue to do — and soon — because we are sitting on a chunk of cap in order to get him done and continue to put the team together around him. Lewis is leaning back on the steadiness of Dalton, who has started every game for three years, and taken his team to the playoffs all three. He’s also a coach, which means he’s always going to value the known above the unknown, even if the known might be topped out and about to get paid more than he’s worth. 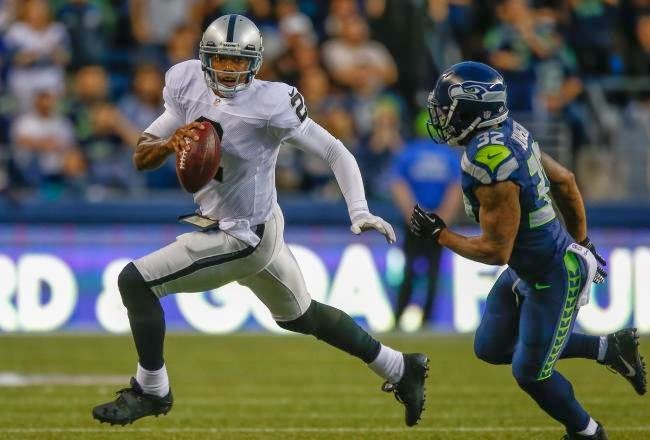 Yes, Raiders quarterback Terrelle Pryor has asked to be traded. No, it did not happen in response to the trade that brought Matt Schaub to Oakland from Houston. Per a league source, the trade request came in January, when players and agents and media gathered at the Senior Bowl. At that point, Pryor had decided that the time had come to move on, based on the elevation of Matt McGloin above the 2011 third-round supplemental selection during the 2013 regular season. To date, no serious suitors have emerged. The Jets were a possibility before the signing of Mike Vick, and the Browns could make a play for Pryor. At some point, Pryor may face the dilemma that former NFL quarterback Tim Tebow encountered — change positions or exit the league permanently. With the Raiders leaking the news that a trade request was made while the NFL is gathered in Orlando, the next two days could be the last-ditch effort to trade him. Thereafter, the Raiders could end up cutting Pryor. 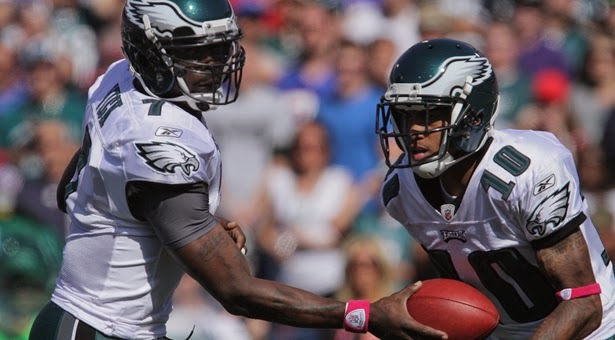 The Jets are interested in acquiring Eagles receiver DeSean Jackson. That was confirmed by Jets owner Woody Johnson himself, who told reporters at the league meeting today that Jackson is one of several players the Jets are interested in as they attempt to re-shape their roster. “We’re looking at a number of players, including DeSean,” Johnson said, via Jeff McLane of the Philadelphia Inquirer. Johnson cautioned, however, that the Jets’ interest in Jackson is only if it’s “at the right price” and “if he fits into the culture of our locker room,” via Ian Rapoport of NFL Network. NFL owners, coaches and general managers rarely talk on the record about players under contract to other teams, so the fact that Johnson would mention Jackson by name suggests that the Jets’ interest is strong. However, Johnson stating that the Jets are only interested “at the right price” suggests that they don’t want to pay him the $10.5 million he’s owed this season under his current contract. The Jets may be hoping the Eagles release Jackson — which the Eagles aren’t likely to do if they believe they can get something for him in a trade. With Mark Sanchez exiting New York, another high profile quarterback is arriving. The Jets have announced that Mike Vick has signed the team. Per a league source, it’s a one-year deal. Which means Vick will get a chance to hit the market again in 2015. Vick, the first overall pick in the 2001 draft, spent six seasons with the Falcons before a guilty plea to federal gambling and dogfighting charges resulted in nearly two years in custody. He signed with the Eagles after his release in 2009, starting as the No. 3 man on the depth chart but seizing the starting job after the offseason trade of Donovan McNabb and an early-season concussion to Kevin Kolb. Vick played very well in 2010, regressing in 2011 and 2012. 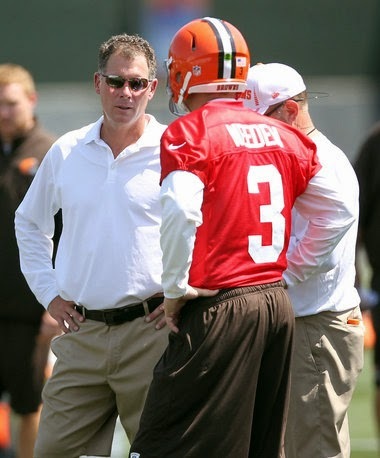 He won the job again in 2013, after a lengthy competition with Nick Foles. Injuries and ineffectiveness, coupled with stellar play from Foles, resulted in Vick quietly surrendering the job. In New York, Vick surely will set his sights on doing to Geno Smith what Vick did to Kolb and what Foles did to Vick. He wouldn’t be going to New York if he didn’t envision a chance to play. 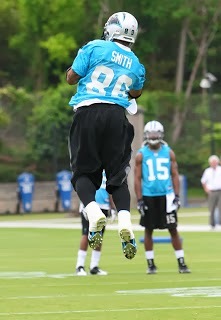 And Vick surely believes he’s better than Smith. Vick very well may be. As Ross Tucker pointed out earlier this week on NBCSN’s Pro Football Talk, the 8-8 Jets quite likely would have been a playoff team in 2013, if Vick had been the starting quarterback. Coach Rex Ryan’s job arguably hinges on Vick or Smith getting the team to the playoffs in 2014. 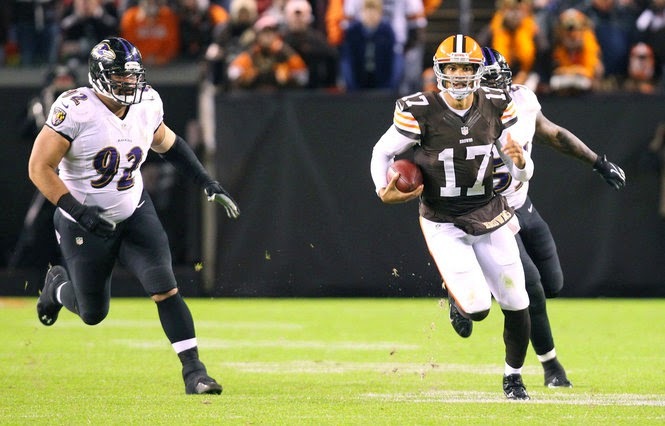 Veteran quarterback Jason Campbell won’t be leaving the state of Ohio for his next NFL gig. Adam Schefter of ESPN reports, and PFT has confirmed, that Campbell has agreed to terms with the Bengals. It’s a one-year deal. Per a source with knowledge of the situation, the decision came down to Campbell and Ryan Fitzpatrick, who once was a backup in Cincinnati to Carson Palmer. In 2008, Fitzpatrick started 12 games while Palmer was hurt. Campbell will provide a veteran presence on the Bengals in a clear backup role, without Campbell threatening to take Andy Dalton’s job. And it will give Andy Dalton the support he needs as he tries to find a way not to just get to the playoffs but to win a playoff game. A first-round pick in 2005, Campbell has played for the Redskins, Raiders, Bears, and Browns. Former Browns quarterback Brandon Weeden may attempt to revive his career as Tony Romo’s backup. Weeden will visit the Cowboys today, ESPNDallas.com reports. The Cowboys have been known to be interested in Weeden, presumably as a minimum-salary third-string quarterback who would become the second-string quarterback if Kyle Orton decides to retire. If Weeden does sign in Dallas and Orton does return, Weeden would have to do well in the offseason and training camp just to make the roster, as the Cowboys have generally only kept two quarterbacks in recent years. The 30-year-old Weeden was a 2012 first-round draft pick of the Browns. 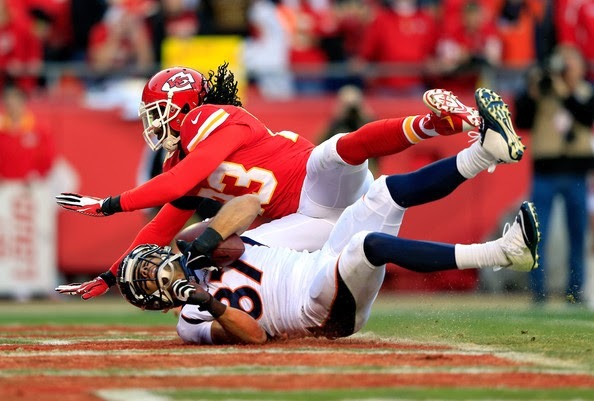 He has completed 55.9 percent of his passes, with 23 touchdowns and 26 interceptions, in two years in the NFL. It took a little while, but it finally was resolved. A year after hitting free agency and returning to New England on a one-year deal, receiver Julian Edelman has re-signed once again with the Patriots. The agreement comes after the Pats had pushed Edelman to accept a three-year offer before the start of free agency. He didn’t, opting instead to test the waters, drawing interest from Cleveland and San Francisco. 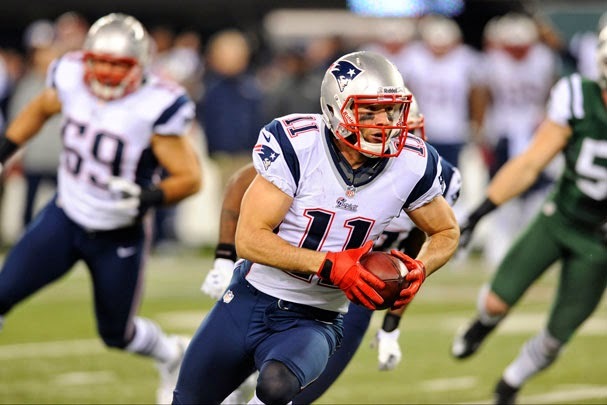 Edelman visited the 49ers before negotiations resumed with the Patriots. It’ll be interesting to see how the final agreement compares to the offer that was rejected four days ago. Ex-Buccaneers cornerback Darrelle Revis has come to terms on a one-year, $12 million contract with the Patriots, ESPN’s Adam Schefter reported Wednesday night. Revis was slated to make $16 million with the Buccaneers in 2014, so it appears he may have taken a pay cut. However, he can hit the market again next offseason. 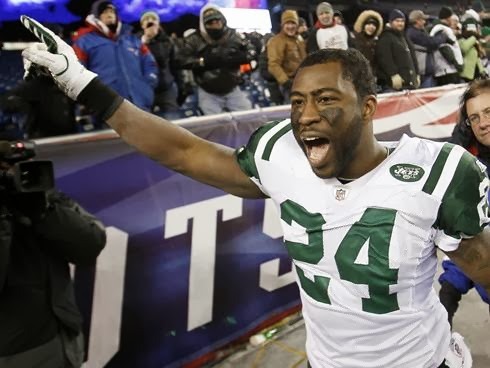 Revis, who turns 29 in July, is widely regarded as one of the NFL’s top cover corners — a player capable of covering top receivers all over the field. He has intercepted 21 passes in seven NFL seasons. For the Patriots, this is the ultimate counterpunch after the Broncos signed away cornerback Aqib Talib on the first day of free agency. It also prevents a Jets-Revis reunion. 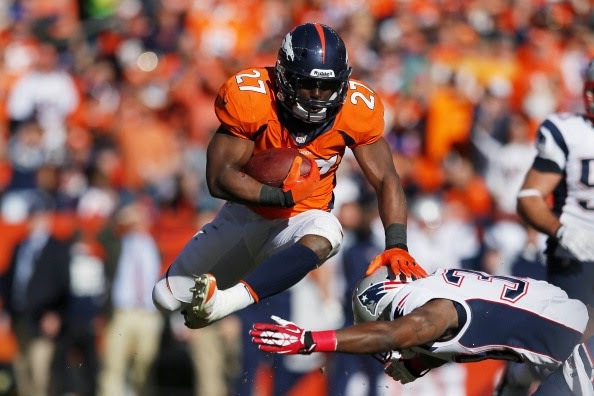 And does it ever set up a showdown in Foxborough between Denver and New England in the 2014 regular season. Tuesday was a relatively quiet day for the Jets and a totally silent one for wide receiver Eric Decker, but things could heat up on both fronts on Wednesday. Kim Jones of NFL Network reports that Decker will visit with the Jets on Wednesday and an aggressive offer from the Jets, who have plenty of money under the cap, could mean that it is the only visit that Decker makes. The Jets had a rotten receiving corps last season and Santonio Holmes has been jettisoned, leaving them in fairly desperate need of help at the position. The big question that they’ll have to answer is whether Decker will be as effective catching passes from Geno Smith or someone else the Jets bring in as he was catching passes from Peyton Manning with a ton of offensive talent around him. As the top wideout on the market — and highest remaining available player on PFT’s Hot 100 at No. 8 — Decker’s going to be paid like he can be that productive whether it is from the Jets or someone else. It’s a question that other receivers in Decker’s position have often failed to answer positively, but the Jets need help at the position badly enough to roll the dice that things break the other way. Usually one of the last things a team does before cutting a guy they plan to cut anyway is give everyone one last chance. That appears to be the case with the Panthers, as Ian Rapoport of the NFL Network says they’re attempting to trade the veteran wide receiver. With a $7 million cap hit, that seems unlikely. It’s been clear that new General Manager Dave Gettleman wasn’t comfortable with Smith at his current price, and Smith wasn’t comfortable with the way it was handled. But this wasn’t solely about money, as the Panthers are shifting the leadership of the team away from the old guard (Smith and retired tackle Jordan Gross) and onto quarterback Cam Newton and linebacker Luke Kuechly. It’s a risky play for a team that entered today with one proven wide receiver on the roster, and now goes into free agency with the possibility of none, and little in the way of cap room to replace him. Smith was obviously in decline in terms of impact on the field, but as the franchise’s best player, it’s still a clumsy handling for what appear to be his final days with the team that drafted him in 2001. With the Titans unwilling to pay running back Chris Johnson $8 million in 2014 and Johnson unwilling to take less, the Titans will be moving on. Before they do, they’ll try to get value in return for the man they selected in the first-round of the 2008 draft, and to whom they’ve paid $30 million in the last three years. Per a league source, the Titans soon will commence efforts to trade Johnson. If the Titans can find no takers, they will cut him. It’s unclear when they would cut him. With no bonus coming due or a trigger to make all or part of the base salary guaranteed, the Titans don’t have to make a decision until the eve of Week One, when the full salary becomes guaranteed as a practical matter. If he’s not cut before the launch of the offseason program, the Titans could face a repeat of the ugly final days of Steve McNair’s tenure with the team, when the Titans were hoping both to trade McNair and to keep him from suffering a potential season-ending injury while on the premises, which would have made his full salary guaranteed. They locked McNair out of the facility, he filed a grievance, and he eventually won. From Johnson’s perspective, the sooner the release comes, the better. With a running back market that has yet to generate much buzz, Johnson would quickly go to the top of the class — eclipsing Ben Tate of the Texans, the No. 38 player on the PFT Free Agent Hot 100. Cutting Johnson would result in a $4 million cap charge. That amount would be cut in half and spread over two years if he’s released with a post-June 1 designation. The Saints are reportedly releasing one of their key running backs. According to Ian Rapoport of NFL Network, the Saints are cutting Darren Sproles, the 30-year-old pass-catching back who’s spent the last three seasons with New Orleans. However, a league source tells PFT’s Mike Florio that New Orleans has yet to release Sproles and that efforts to trade him continue. However, Sproles will be released if he cannot be dealt. Sproles hauled in 71 passes for 604 yards and two TDs in 2013. He also rushed for 220 yards and two scores on 53 carries. The apparent impending departure of Sproles is the latest move by the Saints to retool a skilled-but-aging roster. Moreover, a trade or release of Sproles would save the Saints quite a bit of money; Sproles is due $3.4 million in salary and a $100,000 workout bonus, per Rotoworld.com salary data. When the Rangers selected Seahawks quarterback Russell Wilson in the Rule 5 draft, Hall of Famer and former two-sport star Deion Sanders said Wilson should consider playing baseball. 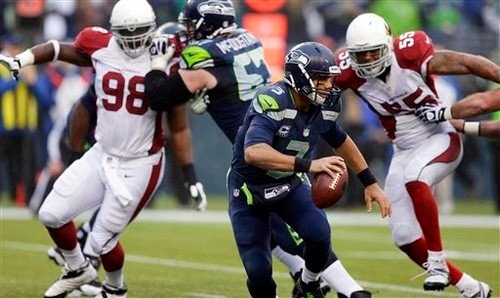 At the time, Wilson laughed off the possibility of playing both football and baseball. He seemed to be slightly more serious about the possibility now that he has gotten a taste of spring training. It would only work out if Wilson is deemed to be so good at baseball that a baseball team would allow him to make football his top priority. Even then, it would be much harder to play both sports than it was in the days of Deion (who eventually gave up baseball) and Bo Jackson (whose hobby was football) and Brian Jordan (who eventually picked baseball as his sole sport). For quarterbacks especially, football takes up much more than football season. So in order for Wilson to follow his own advice to outwork everyone, he probably needs to be outworking everyone at only one job. That said, he’s a year away from being eligible to get a new contract in Seattle. It’s simply good business to muse about his options in order to ensure that the Seahawks will treat him fairly, at the appropriate time. The league has officially announced the full list of franchise-tagged and transition-tagged players for 2014. The biggest name belongs to the player for whom the biggest fight is looming. 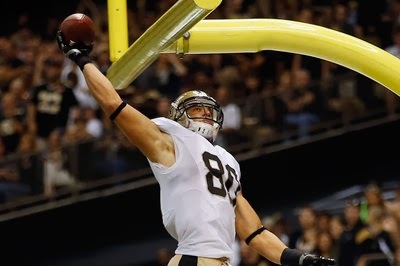 The NFL’s Management Council has decided to deem Jimmy Graham a tight end for purposes of the franchise tag. It sets the stage for a grievance to be filed by Graham and the NFLPA arguing that, based on the language of the labor deal, Graham is actually a receiver. Graham will argue that he lined up more as receiver than as a tight end in 2013. The Saints will argue that tight ends routinely line up in the slot or split wide, but that this doesn’t make them something other than tight ends, since only tight ends line up tight to the tackle. In other words, the Saints hope to persuade the System Arbitrator to find that, when Graham lines up in the slot or split wide, he’s still participating in those plays as a tight end. Whatever the outcome, the issue has been lingering for the last few years. At some point, a resolution is needed, either through arbitration or an amendment to the labor deal. For the Saints and Graham, more than $5.2 million hangs in the balance. While the two sides can resolve the situation at any time with a long-term deal, Graham could decide to let it ride. Regardless of the outcome, he’s going to make far more than the $3.3 million he has received in four NFL seasons. At this rate, 49ers coach Jim Harbaugh’s infamous “who’s got it better than us?” victory cry eventually may become a “who hasn’t got it better than us?” lament. 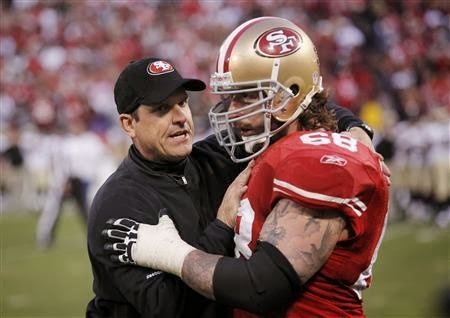 With most of the last nine days devoted to a dissection of the dysfunction between Harbaugh and 49ers G.M. Trent Baalke, Ann Killion of the San Francisco Chronicle identifies a new front in the organizational battlefield. No specific players are mentioned, but the obvious candidates are linebacker Patrick Willis, defensive lineman Justin Smith, running back Frank Gore, receiver Michael Crabtree, tight end Vernon Davis, and/or quarterback Colin Kaepernick. Speaking of the team’s hot-and-cold franchise quarterback, another source explained to Killion that there’s no real link between the Harbaugh-Baalke disconnect and the team’s inability to return to the Super Bowl this past season. “‘If Jim and Trent have a beer together, it’s not going to make Kap throw the ball four inches higher,’” the source said, referring to the intercepted pass from Kaepernick to Crabtree at the end of the most recent NFC title game, the second straight year that the failure of quarterback and receiver to deliver in crunch time ended a postseason run. As a result, the shelf-life between Harbaugh and Baalke possibly mirrors the shelf life between Harbaugh and his players. If, as Killion points out, adversity arrives and stays, it could all implode. Some think that, if the 49ers give Harbaugh the contract he covets, all will be well. There’s also a chance it could get worse, right away or in time. At it’s core, that’s really the issue. Jim Harbaugh is intensely competitive. Jim Harbaugh competes with everyone, about anything. It has made him wildly successful during his first three seasons as an NFL head coach, with three straight NFC title game appearances. But it could make this coming season his last one in San Francisco. And then his competitive nature will be welcomed gladly by any of the various teams that would love to go to only one conference title game. 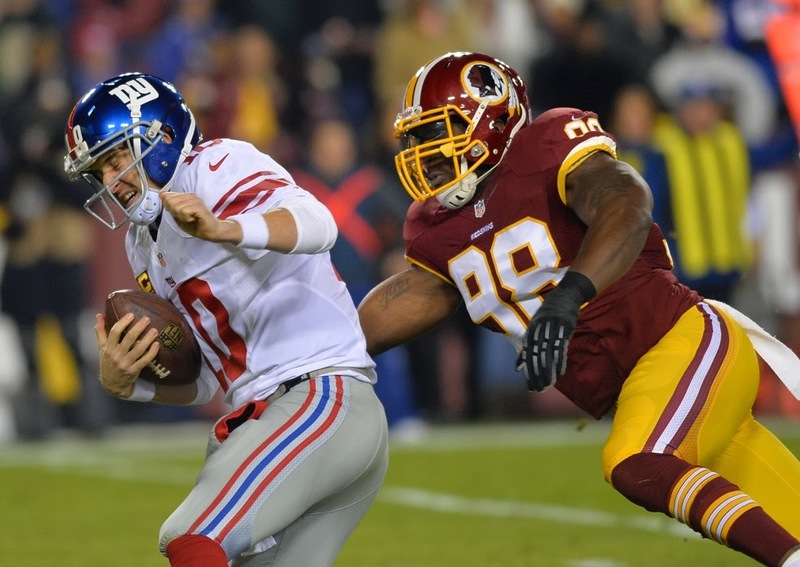 If the Washington Redskins haven’t made an “official offer” to linebacker Brian Orakpo, there’s a good reason for it. They haven’t decided whether they want to keep him. Mark Maske of the Washington Post reports that the team isn’t sure whether to make the financial commitment necessary to keep Orakpo around. Maske also explains that it’s a “really close call” on whether the Redskins will apply the franchise tag to Orakpo before Monday’s deadline. A decision to tag Orakpo could be followed by a Terrell Suggs-style fight over whether he’s really a defensive end, which has a 2014 tender amount of $13.116 million. The franchise tag for linebackers is $11.455 million. The Redskins also could apply the transition tag to Orakpo, which would give them a right to match but not compensation if he leave. It would cost $9.754 million at linebacker, $10.633 million at defensive end. And if Orakpo signs the tender, the money will become fully guaranteed. The Redskins have a history of spending bigger money on free agents from other teams than on their own players, a practice that can send a bad message to a locker room full of young players hoping to be rewarded financially for their efforts. It’s always better for those players to think they’ll get their reward without having to move to a new city.